Aistin Blue is carefully designed for low energy battery operated wireless IoT and wearable solutions. 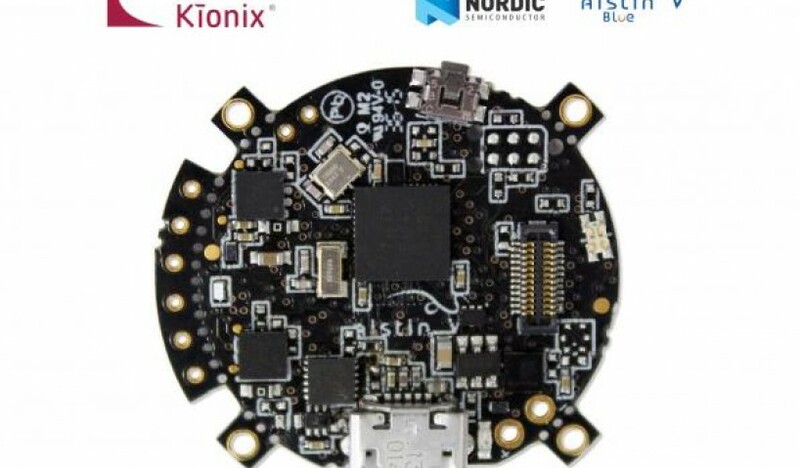 "The Aistin Blue development platform incorporates many of the latest sensors from Rohm/Kionix. Included are sensors for detecting 3D-acceleration, 3D-magnetism, 3D-rotation, humidity, air pressure, and temperature"
"This platform is ideal for teaching/training purposes, fast proof-of-concept prototyping, and as a final product platform. With production-ready BT-LE intelligence built in, sample applications range from fitness and activity tracking, monitoring hit and/or movements in sports equipment, and detecting motion, shaking, and orientation in remote controls to use as a weather station and burglar alarm"